Our judges will be looking for outstanding examples of best practice during the 2017-2018 academic year. We will accept submissions based on projects that commenced prior to the 2017-2018 academic year, provided that core achievements have taken place during this main period of focus. We will also accept any evidence that has come to light after the close of the 2017-2018 academic year if this further underlines success. Once you have submitted your entry you will receive an email confirming your school name, the nominee, and the category you have entered. 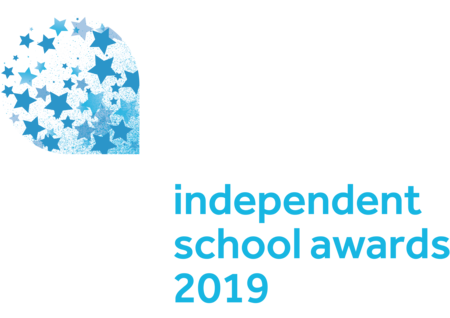 This email will also contain a unique ID number which will be used in all future Independent School Awards 2019 correspondence relating to your entry. The awards are open to all independent schools. Entries can be completed by schools themselves or their suppliers (PR companies, etc). If you are entering on behalf of a school please make sure they are happy for you to do so. You may enter a project that has been undertaken in collaboration with an external public or private partner, but the award will be given to the winning school only. If the project is successful we will give credit to partners at the awards ceremony where appropriate. Please read our entry guidelines, then click the enter now tab on the right. Entry is free, and you may enter as many categories as you wish. A distinguished panel of experts will meet to choose our winners. How do I book tickets for the event? You can book individual places or full tables for the event using our online booking system. The event is black tie. We are happy for you to offer your ticket to a colleague, but unfortunately all booked tickets are non-refundable. In the event of a change, please email the new attendees' details to kerry.paige@tesglobal.com as soon as possible. How do I submit the attendees' details? Under-18s are not automatically able to attend the event due to the venue’s licence. Please contact us for more information.